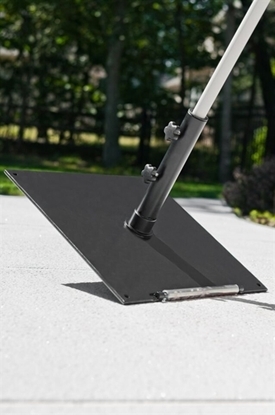 Shop umbrella bases at the best prices! 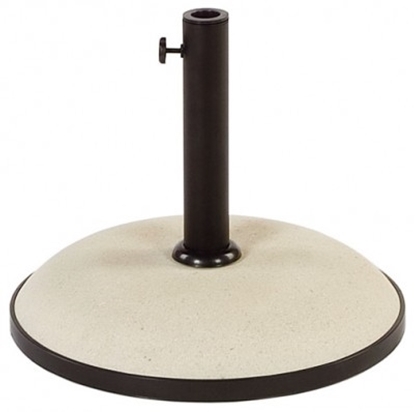 Our selection includes bases and stands for many applications such as pool decks, patios, and cafes. We offer umbrella bases and stands with wheels, free standing, and under table bases to protect and secure your market or patio umbrella. Midi 24” Round Portable Umbrella Base, 130 lb. 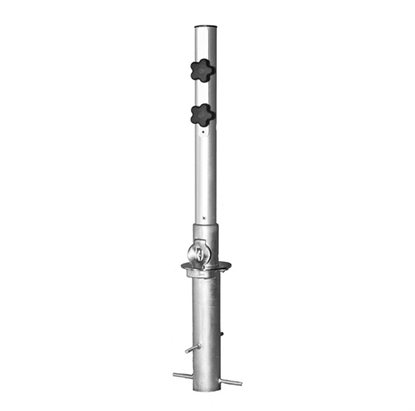 Midi Plus 29” Square Portable Umbrella Base, 220 lb. We have just the right base for your individual needs. Freestanding umbrellas require more weight, a larger diameter and a high stem to secure the umbrellas upright. 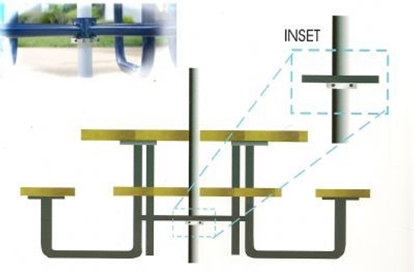 When you use a table with your umbrella weight is required however the height under the table structure will determine which umbrella base to use. 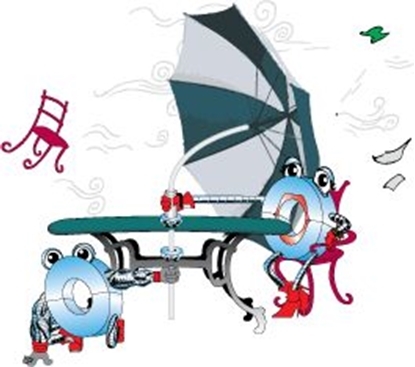 When umbrellas are used with a heavy table as a picnic table our UBrace is the perfect solution. 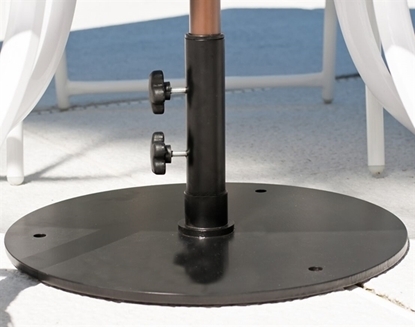 The Ubrace can be used with an umbrella base on a patio table to keep it from flying out on a windy day. Call us today to find the perfect base for your use and location.